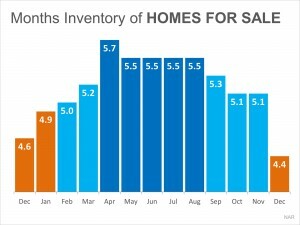 Are you thinking about selling your home this year? Conventional wisdom says to wait until spring—but in 2015, that may not be the best strategy. Here are four reasons that listing your home during these last few weeks of winter may really pay off. Usually foot traffic (people physically out looking at new homes) during the winter months is slow, since not many buyers are in the market to buy a new home until the spring. But 2015 has proven to be different. The job market (and economy in general) is improving. People who have put off buying a new home for years seem to be ready at last—and they’re not waiting until spring to start the process. 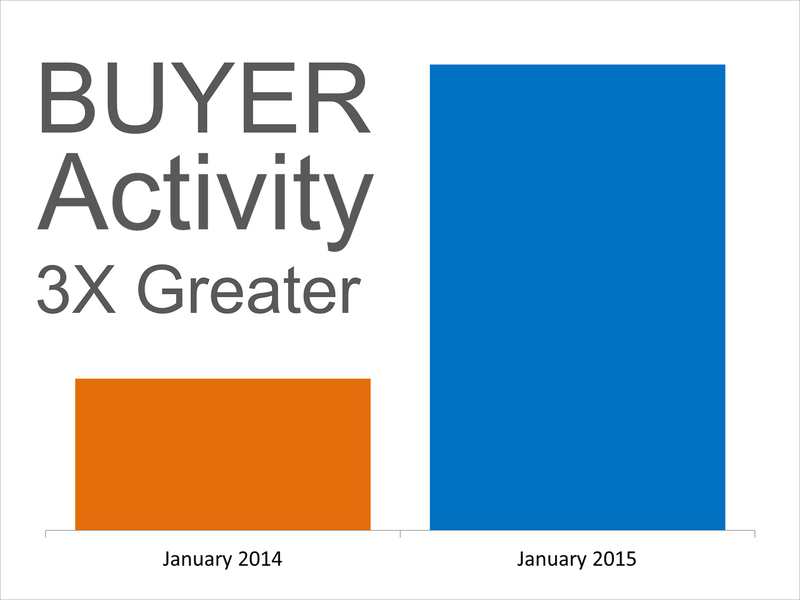 Buyer activity in January this year was three times greater than at the same time in 2014 (see chart). And judging by foot traffic alone, the number of prospective home buyers right now is higher than any time in 2014—including last year’s “busy” spring season! The buyers aren’t waiting, so why should you? Make sure those active buyers have a chance to see your home while they’re still in the market! 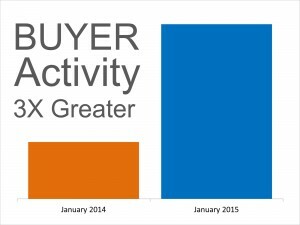 Currently buyer demand is high, but the supply of homes on the market is relatively low. 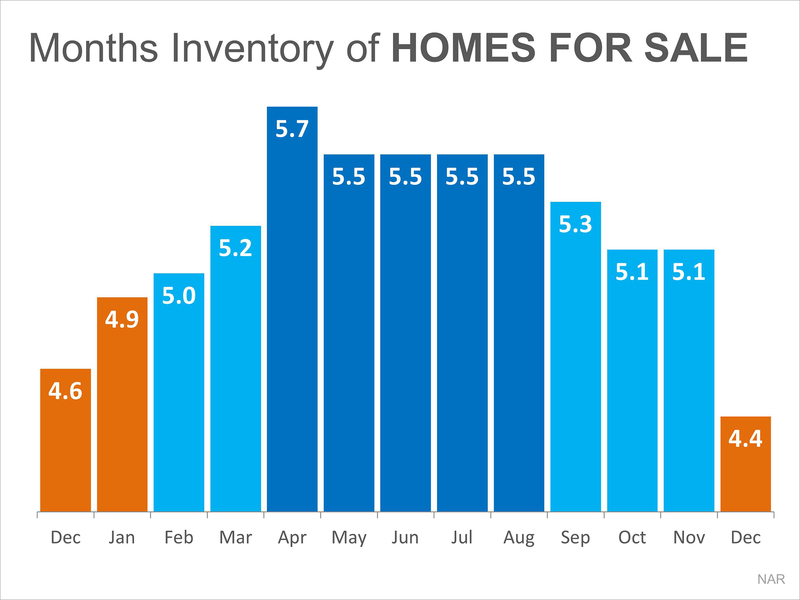 A normal housing market has 6 months’ supply of homes available—but that number is currently only at 4.4 months. High demand and a low supply is a sweet spot for you as the seller—but it won’t last long. The spring rush is coming, and your home is about to get a lot more competition as a wave of new homes are listed. And the competition might be even more fierce this year. It’s not just potential buyers who have been waiting for the economy to improve before they finally move—many homeowners have had pent-up desire to sell, as well. So the sooner you can get potential buyers to see your home, the better. Since more homes are on the market during the spring, the number of people applying for mortgages is also higher. You can potentially speed up the process by getting paperwork started now, before the rush. Once April hits, chances are your application will have to wait in a larger stack before being processed. Housing prices are on the rise—experts estimate they will rise 23.5% over the next four years. If you’re selling your current home because you want to upgrade to a larger, nicer home, this may be the best time to do it. With lower prices, your down payment will buy you more house now than if you wait. Also, with mortgage rates on the rise, acting now means you’ll be able to lock in a lower rate than later this year. A lower mortgage rate means your monthly payment will go farther toward paying off your house—an advantage that can make a very practical difference for the next 30 years! If you’ve been seriously thinking about listing your home, don’t delay! Not sure what the next steps are? Contact The Haro Group and we’ll asses your current situation and point you in the right direction.